I feel like a broken record, but what can I say, the fishing continues to be good! 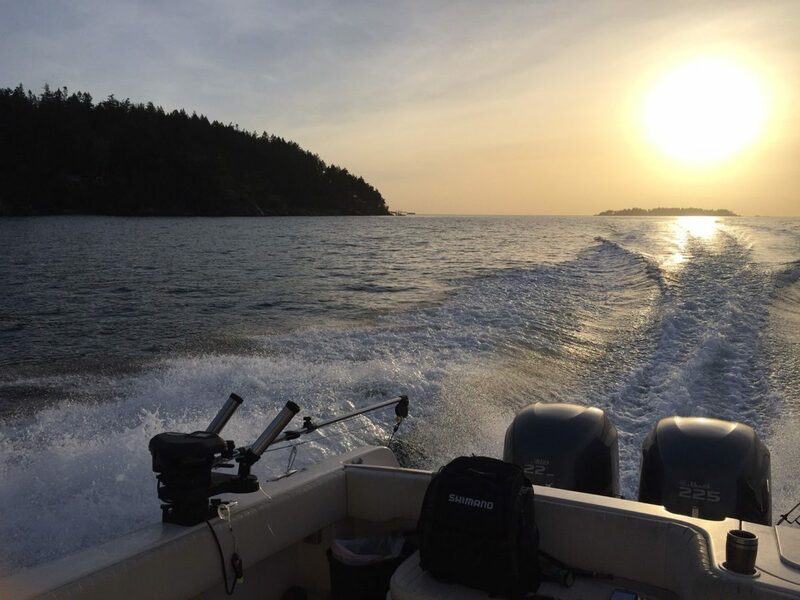 There has been consistent fishing in Vancouver Harbour, Howe Sound, and the Gulf Islands for many weeks. There has been the odd slow day or weekend in there, but for the most part the fishing has been very good and should remain so the rest of the winter. Weather was a bit tricky this past 7 days, but we were lucky enough to get out on a few of the days where the winds and rain weren’t too bad. 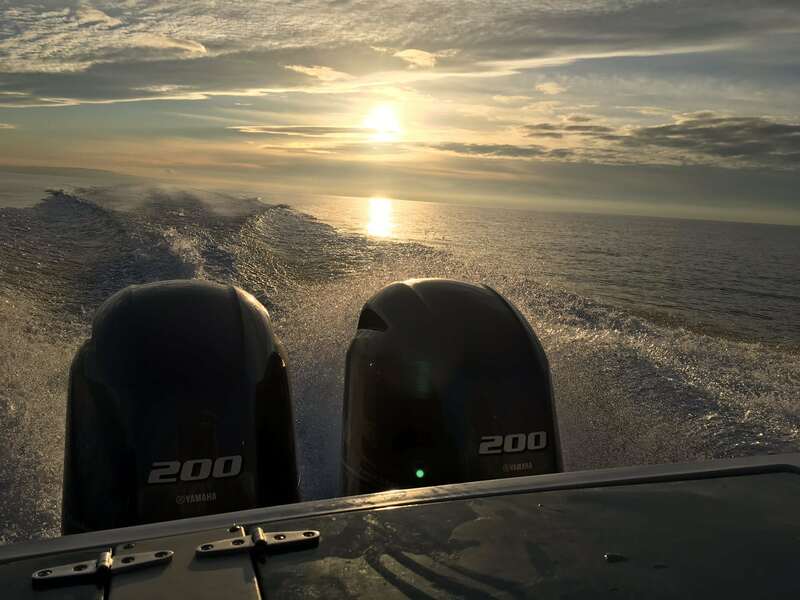 Flat seas and sunny skies make for great winter chinook conditions. 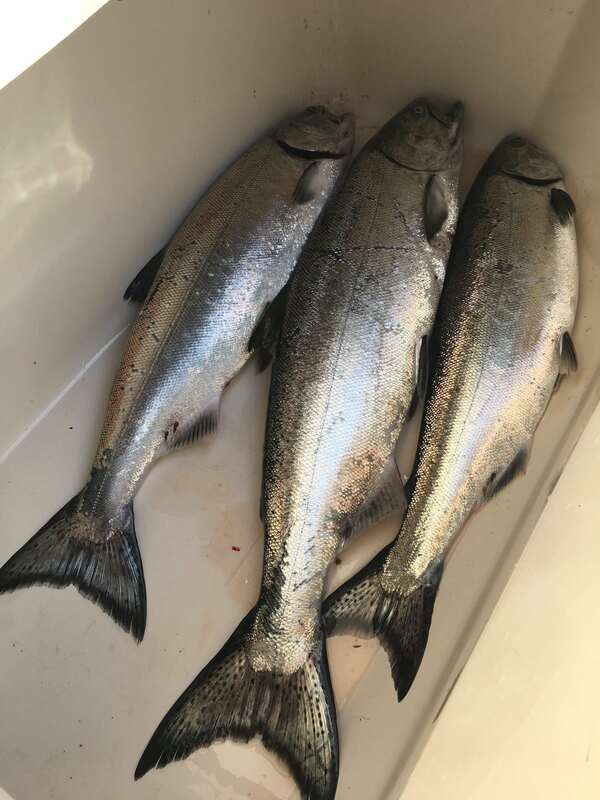 We have been getting fish from a few pounds all the way up to around 15 pounds and we have seen a few pictures of fish around 18 pounds, so they are starting to get pretty big. With all this bait around it won’t be long before a few fish start pushing the 20-pound mark. Some nice winter chinook from a recent trip. As usual, the bait and the fish have been on the bottom for the most part. The productive flashers have been ones with some glow on them, in particular Green Onion Glow and Salty Dawg. The new Pesca spoon that is about to be released has been on fire. The action on this spoon is extremely erratic on a medium speed troll and if you slow down it has a nice flutter as well. We have been test fishing a variety of colours and the best ones are about to be released, probably next week. When they are available we will feature them in the report and post on Facebook. If you would like to book a trip, this is prime time. Fishing is awesome, prawning is good, and the crabbing is picking up as well. Give us a call at 778-788-8582.